In the expectation of a new Galaxy Ace device, the guys at Sammobile managed to get their hands on a Galaxy Ace 3 image. This device is the third from the Ace line and can come as a cheaper option for those who can’t afford a Galaxy S4 or Note 2. The previous versions worked really well on the mid-range market and hopefully this one won’t disappoint also. As you can see from the leaked image, the new Ace will come in almost the same device as 90% of Samsung’s devices. Nothing new under the sun with this version also. Very disappointing, but knowing that Samsung didn’t bother to change flagship models’ design such as the S4’s we didn’t have high expectations for this one either. 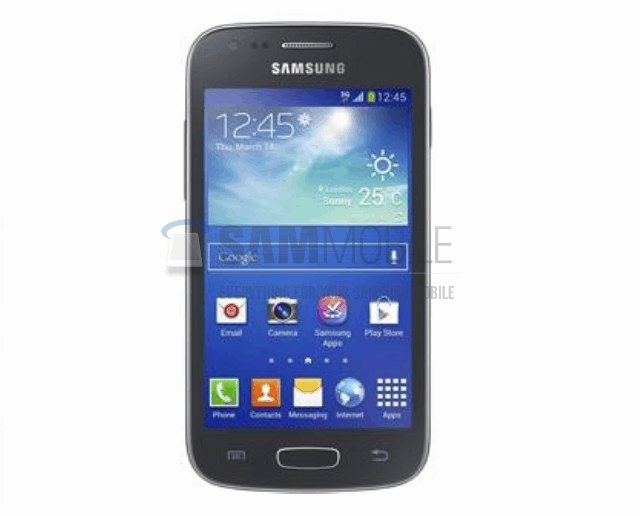 Regarding the specifications, the third Galaxy Ace will have mid-range hardware such as a 4 inch TFT display at 480*800 resolution, a dual-core 1 GHz CPU, 1 GB Ram memory and 4 GB internal. In the connectivity field it will use Bluetooth 4.0, A-GPS, WiFi, HSDPA 14.4 Mbps, HSUPA 5.76 Mbps. Everything will be powered by a 1500 mAh battery. The expected release date is somewhere in July, but we are hoping that Samsung will do a good thing and showcase the Ace 3 at the Premiere Event on June 20.